*Disclaimer: I was provided with a copy of the cookbook. I was in no way required to write a review. All opinions are my own. One of my favorite finds at the GFAF Expo was this cookbook- written by a mother-daughter duo. As a "newbie" to the gluten-free cooking world, I have enjoyed searching through the pages and looking at all of the revamped southern standbys. 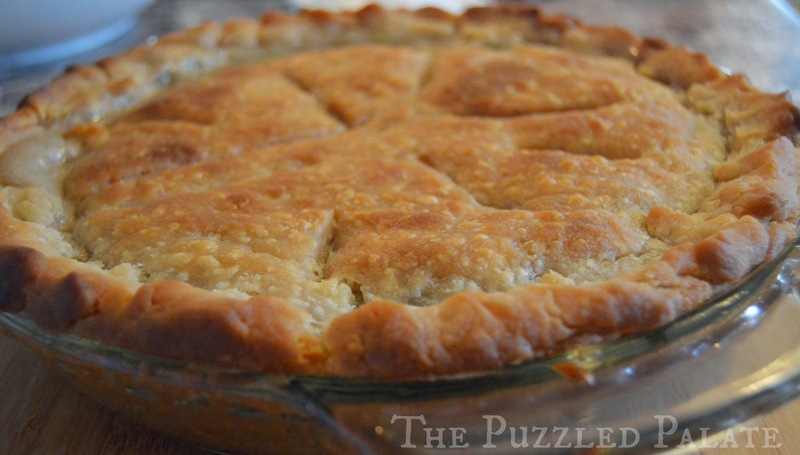 I have tried a handful of recipes, but my favorite has to be their "Creamy Chicken Pot Pie" made with a from-scratch pie crust. The recipes are simple and easy to follow. Yes, it was as delicious as it looks! The crust was flakey and the filling was the perfect consistency. Since I started cooking gluten-free, I have struggled with recipes that require traditional flour to be substituted- the taste is always a bit off. That is NOT the case with the recipes from Gluten-Free with No Apologies! I even adore the concept that inspired the cookbook's title! I feel that I could easily serve any recipe from this book to ANYONE and they would not call me out for serving them a gluten-free meal! Ladies and Gents, that is what you call "winning!" If you are a bargain hunter, the cookbook is available on Amazon for just $15. If you would rather have an electronic copy- that will only run you $10! 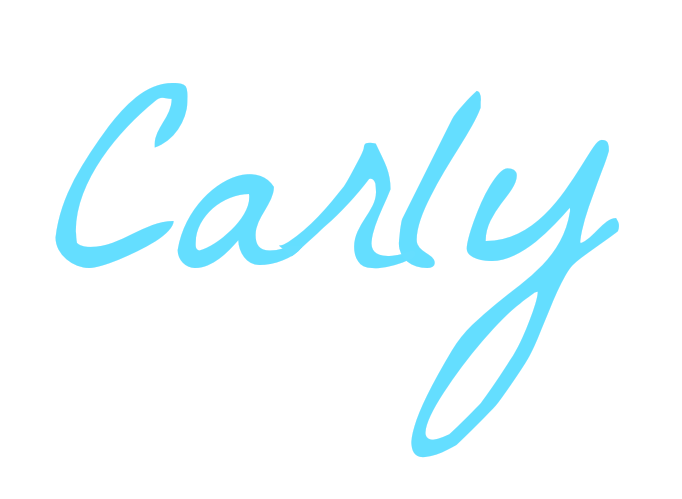 Be sure to check out the No Apologies Gluten-Free blog. Their site is full of helpful GF tips and delicious recipes. Do you have a favorite tried and true family recipe? I am not GF but I like having that choice around. Sounds like a great cookbook. Sharing this post with a friend that is also new to Gluten Free - her daughter was diagnosed about a month ago. Looks like a great cookbook! This sounds like a great book.I am not GF but still like to try food that is so I can know how different things taste. What an awesome cookbook for people who are gluten free! We aren't (yet? ), but this sounds like a great resource. I love how many gluten free recipes and food options there are out there now! It makes it so much easier for people with Gluten intolerance! There is so much I want to try, those Granny's Biscuits sound great. Off to peek around a bit on the blog and maybe pick this up on Amazon. Thanks for sharing. Oh, and to answer your question. I wish I did have a tried and true family recipe, but I don't. My husband does, he loves to make chicken or beef adobo. His mom taught him. It's not gluten free but it's one of our favorites. Seems to me that at this point gluten free is just as delicious as dishes with gluten. We don;t have that issue here, but it is great to see the strides forward in the recipe field for this! That looks delicious! We aren't a GF Family but I don't mind eating any GF recipes, they usually taste just as good! These sound like great recipes. The mac and cheese caught my eye right away. I love the title. You shouldn't have to apologize for being gluten free (or having another allergy/sensitivity.) These recipes all sound really good, too. Perfect cookbook for people with gluten allergies. Thankfully, we dont have any gluten allergies...that would be a hard adjustment. 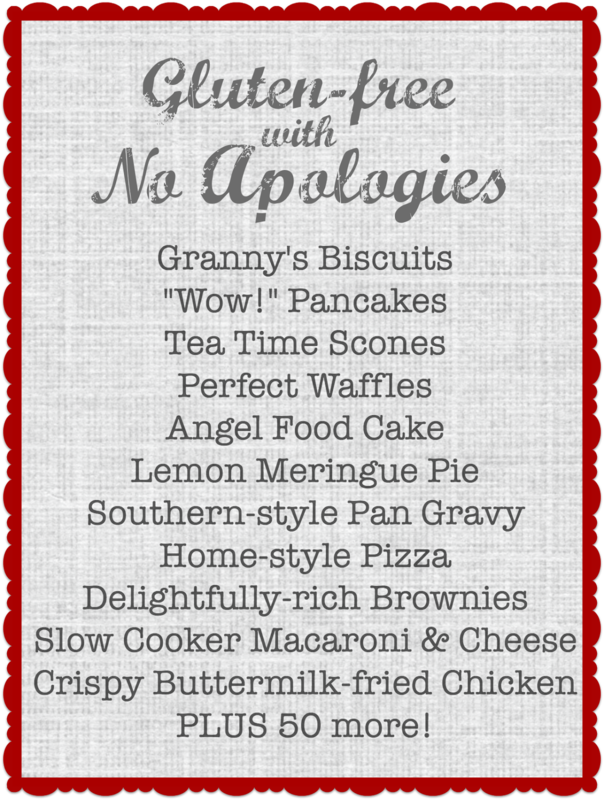 I'm from Alabama originally, so it will be interesting to see if these recipes can stand up to my redneck tastebuds! =D Seriously, though, I love the idea of southern food getting a healthy twist. Yum all of that looks SO delicious! I want to try the mac and cheese, I've been looking for a good recipe! My daughter needs this cookbook! She always complains about how the gluten free versions of her favorite foods just don't stand up to the real ones. Looks like a great cookbook! It's amazing how many resources you have found! This looks like a wonderful cook book! I will have to pass this along to a close friend of mine who is gluten free. I have several family members who have had to go to the gluten free diet recently. I think this would be a great cookbook for them! That food looks wonderful. I bet everything tastes delicious. And great for those who are going gluten free. Thank you for the confirmation that the pie is indeed as good as it looks! Ha! It looks amazing! These recipe look so wonderful and good. They are really gluten free, wow they look to good to be true. LOL I am going to bookmark this page and try this when my friend with his gluten allergy visits. This does look tasty. 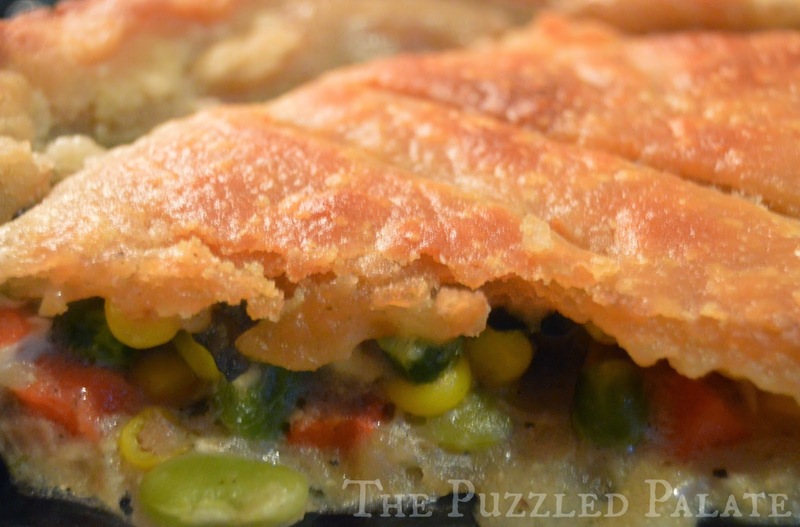 My husband loves chicken pot pie, says it hits the spot really nicely after working outside all day long. That chicken pot pie looks scrumptious! I would totally dive into that and wouldn't think twice about it being gluten free. I have a lot of fun trying new recipes and would love this cookbook! 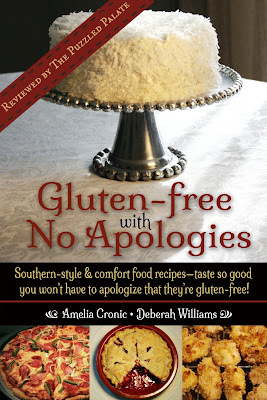 I'm grateful to not have to be concerned with gluten free, but this cookbook would be great to have on hand for parties and entertaining - then if you have guests with gluten issues, you're home free! I think it's smart to learn GF recipes even when you aren't GF! It can be so much better for you. mmmmmm all of this looks so good. I wish I could find a better balance with GF. I tend to eat lower carb due to health problems. I know GF is a good alternative if I want something like say, pie. Problem is, I find that all of these GF pre made products can be high in calories once its all said and done. Yum. That chicken pot pie looks amazing. That sounds like a great book! I have friends and family who can only eat Gluten-free recipes and this is great resource. Love the title! I bet you're going to cook up some fun with that!